CHICAGO (WLS) -- Walgreens will move about 1,800 employees into the renovated old main post office in Chicago, Mayor Rahm Emanuel will announce on Monday. Walgreens will take over a 200,000-sq.-ft. office space when it is fully open next year, a statement from the mayor's office said on Sunday. This will be the largest number of corporate employees Walgreens has ever had in Chicago. Renovations to the behemoth building began after the city reached an agreement with the iconic building's new owner last year. 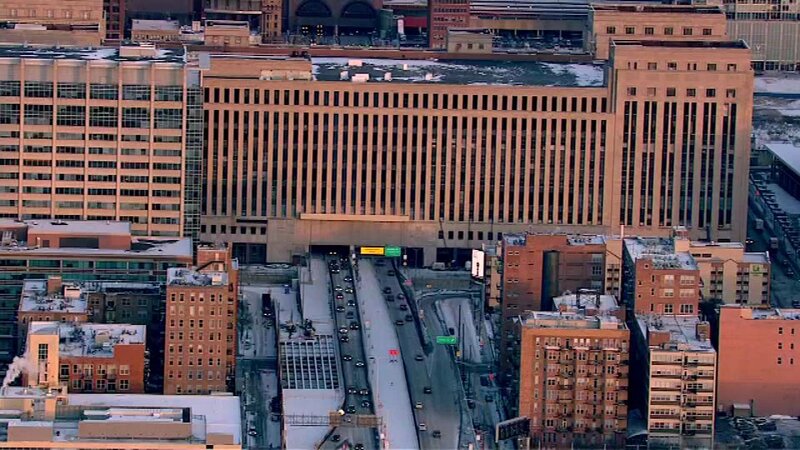 The old post office sat vacant for decades before the $600 million redevelopment started. The project includes retail and office space. On top, a four-acre deck with cafes, sports courts and a quarter-mile running trail is planned. 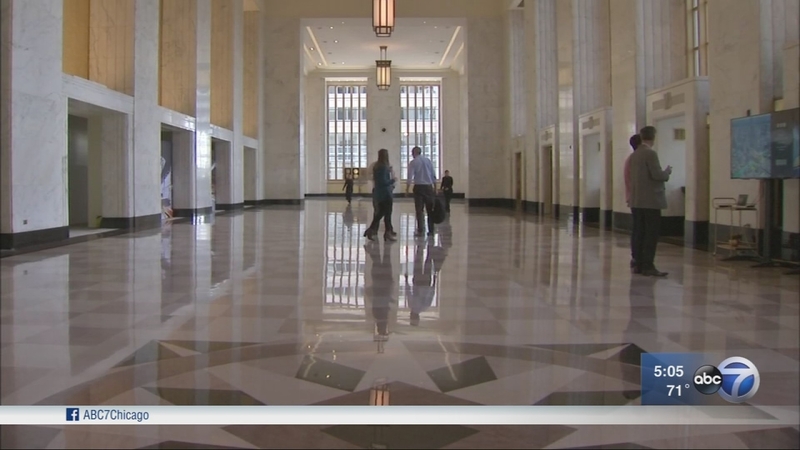 Lobby renovations of Chicago's shuttered Main Post Office, which are part of a massive $600 million project to transform the behemoth building, are complete, Mayor Rahm Emanuel announced Wednesday during a tour of the historic structure. The post office, located at 433 W. Van Buren St., is listed on the National Register of Historic Places and has been vacant since the city's main post office operations relocated more than 20 years ago. The 2.8-million-square-foot building spans three city blocks and five acres. It's currently the largest development project in the nation. The Art Deco-style lobby served thousands of daily post office patrons during the building's heyday in the 1900s as the nexus of the U.S. mail system. The work included extensive restoration of the lobby's white-marble walls, stone floors, gold glass mosaic tiles, monumental windows and light fixture. "This is a smart decision by an innovative company, it will contribute to our city's thriving tech sector," Mayor Emanuel said in a statement. "We are looking forward to cutting the ribbon and welcoming 1,800 members of the Walgreens team to their new home in Chicago."